What exactly is a “timber replacement” window? Mechanical construction means no unsightly welding marks, and those that are present on the vents are virtually invisible. 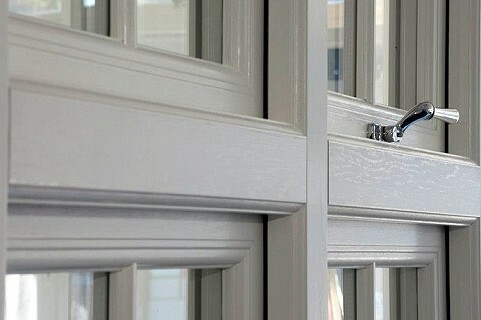 THE EVOLUTION TIMBER-ALTERNATIVE RANGE HAS BEEN DESIGNED TO EMULATE THE BEAUTIFUL AESTHETICS OF TRADITIONAL TIMBER WINDOWS BUT WITHOUT ANY OF THE DRAWBACKS. 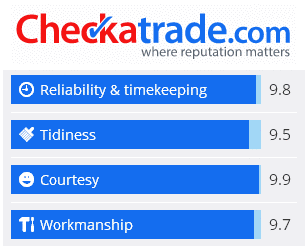 No expensive maintenance, no laborious sanding and painting, this highly energy-efficient new window comes with an A rating as standard and the excellent security features means your home is always safe, warm and secure. They are the perfect solution for the many styles of homes across the UK, from traditional period properties to contemporary new builds. What’s not to love? 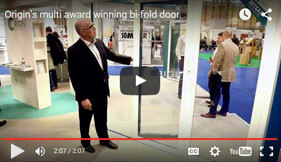 So what makes an Evolution window different from a standard uPVC window? Most uPVC profiles are now available in foiled (woodgrain effect) options in a range of colours, so why is Evolution different? 1.MECHANICAL CONSTRUCTION: It’s all in the construction so they say and this is where an Evolution window differs greatly from that of a normal uPVC. Look at a normal uPVC window and you will notice diagonal welding marks at all the joints. Evolution use a MECHANICAL construction (the top pic clearly demonstrates this) which not only keeps weld marks to an absolute minimum but renders them much less visible than on a standard uPVC window. In addition to this unique profile construction is a deep timber-like cill and timber-like proportions across the whole frame. You simply don’t get these features on a standard uPVC window. Stylish ovolo putty external Georgian bars and black wrought iron period style handles and peg stays make the Evolution window unique. 2. UNIQUE OVOLO PUTTY EXTERNAL GEORGIAN BARS: All windows can feature external Georgian bars, that’s nothing new. But it’s the Evolution Ovolo Putty bar that is so unique. Sculptured like a real timber bar, it’s the attention to detail on little things like this that elevate this window into a different league. The photo shows the internal view of an Evolution Storm window with ovolo putty Georgian bars and black period handles and peg stays. Doesn’t really look like a uPVC window, does it? 3. 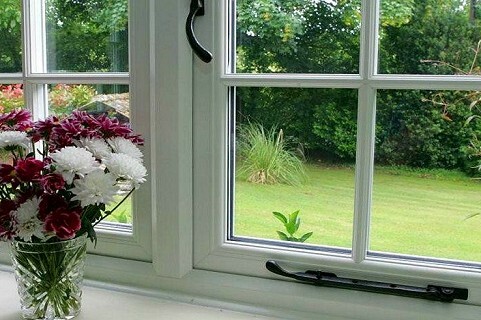 UNIQUE HANDLES AND PEG STAYS TO ADD AUTHENTICITY: Most uPVC windows have a pretty standard locking handle. Evolution offer you the choice of something different, be it contemporary pizazz or traditional twee – perfect for period cottages! You can also have the option of either decorative or working peg stays to match the handles too, in a range of finishes from pewter, black, chrome, brass, you name it. 4. DISCREET, ALMOST INVISIBLE TRICKLE VENTS: Trickle vents can be an unsightly, but sometimes necessary addition to replacement windows. Evolution have developed a weather bar that sits over the trickle vents on the outside, keeping them hidden from view, so your beautiful new windows will look their very best whilst still being practical. Amazing! Evolution FLUSH window in light oak finish. Feature horizontal ovolo putty Georgian bar to match. Is it wood or uPVC? Can you spot the weld marks? 5. AVAILABLE IN A RANGE OF STANDARD COLOURS (INCLUDING TUDOR) AND IN OVER 200 RAL COLOURS! Having a wide colour range to choose from, you can have the exact finish you desire. You can even colour match your new Evolution windows to an existing colour – suitable for conservation areas. 6. 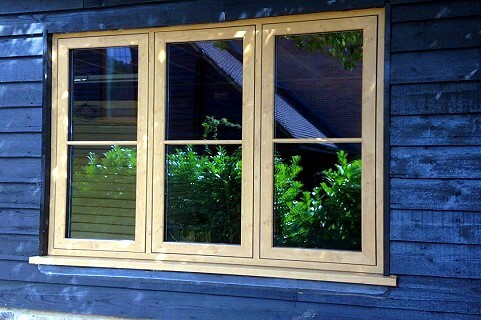 THE FLUSH OPTION TAKES THESE WINDOWS TO A WHOLE NEW LEVEL: The Evolution Flush window is ideal for those wanting to replace original flush casement timber windows, or aspire to achieve the look of timber windows. 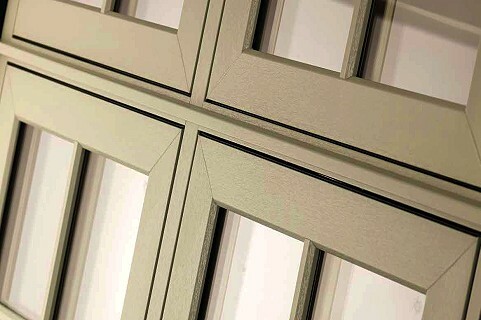 The Evolution Flush window really does look like timber, and it’s difficult to tell it apart from real timber. Close-up on the external side of a Flush window complete with authentic looking drip rail. So there you have it! Just a few reasons why our EVOLUTION window is the perfect choice for the discerning customer who wants the beautiful look of wood, but without the hassle. Download the latest Evolution brochures from our Brochures & Videos page, and whilst you’re there, check out the Evolution video!